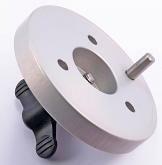 A high quality 2x achromatic Barlow lens from GSO. It is an excellent quality 2-Element achromatic Barlow lens that will double the focal length of your telescope. The aim of Barlow lenses is to prolong the telescope's focal length, so e.g. with a 2x Barlow, when we divide the doubled focal length of a telescope with the focal length of the eyepiece we got two times the magnification obtained. 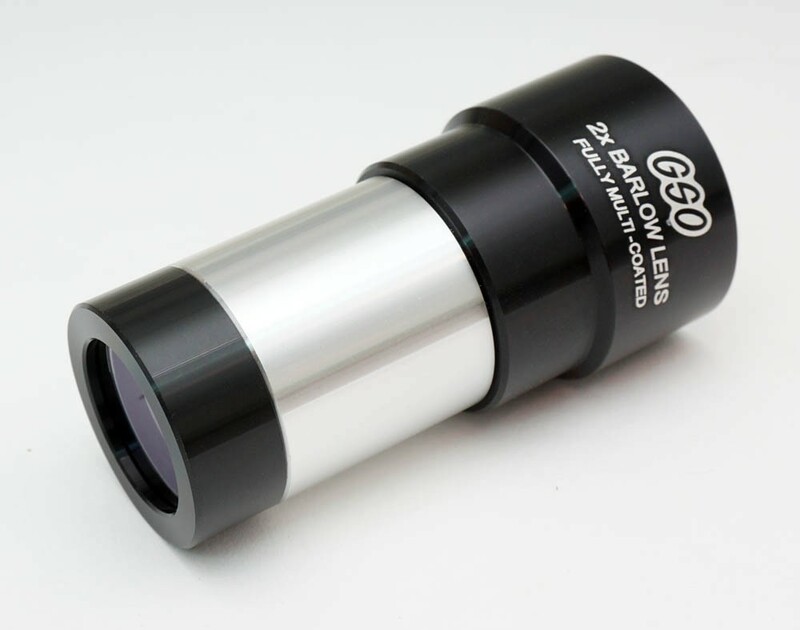 This is a popular amateur complementary tool, because with the help of a Barlow lens we can achieve more diverse magnification range with the same telescope without having to obtain additional eyepieces. On the other hand, since the aperture is usually smaller and the eye relief is shorter for eyepieces with shorter focal length (higher magnification eyepieces), thus these are less comfortable, therefore with a Barlow we can achieve the same magnification but by using a more comfortable (with a longer focal length) eyepiece. Barlows are so good that they are being used even in more expensive wide-angle eyepieces where the Barlow is simply integrated into the construction of the eyepiece. The Barlow lens is always being used between the telescope lens and the eyepiece. Barlow lenses will fit a 31.7 mm or 50.8 mm eyepiece holder barrel. This particular one will fit a 1.25" eyepiece holder barrel.